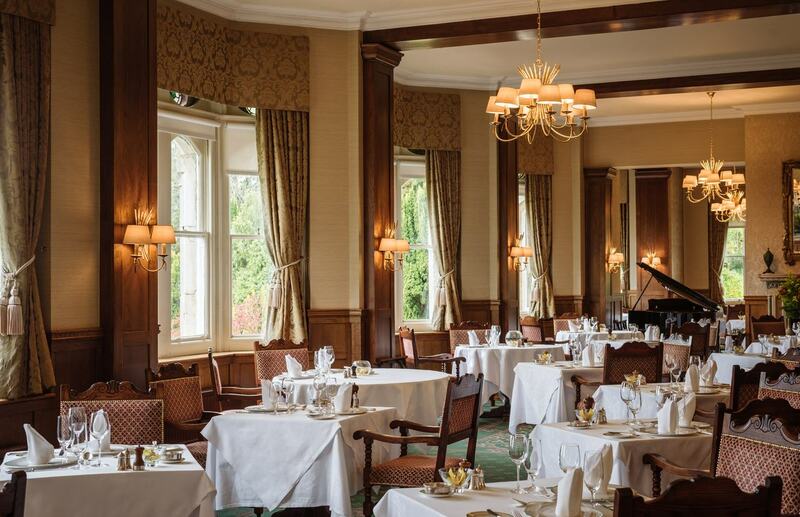 It was the 186 acres of landscaped woodlands around the Ashdown Park Hotel that inspired the famous AA Milne Winnie The Pooh story – Hundred Acre Wood. And no wonder. It’s a joyous eyeful of verdant lawns home to a lilly lake, a wishing bridge and even a garden secreted away for lovers to find. And undulating within this is an 18-hole golf course offering changing scenery as it meanders through the forest. Winnie is nowhere to be found but you can see deer roaming freely, bunny rabbits appearing out of nowhere and watch as the resident llama or alpacas are taken for their daily walk. It is almost too cute. 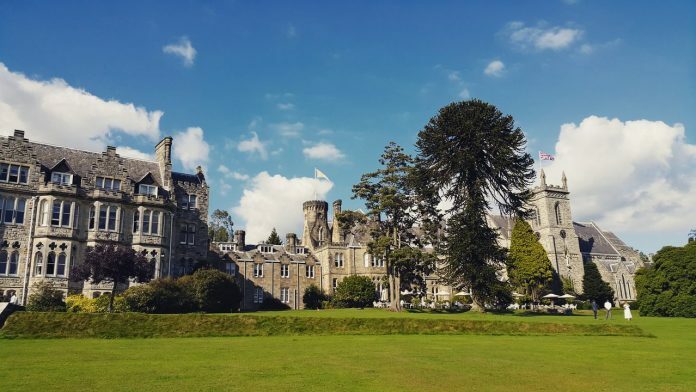 Inside this Grade II listed neo-Gothic mansion house is a luxurious environment; a genteel and well-oiled hotel – everything runs smoothly. A small reception is in the main house discreetely housed behind a mahogany desk making way for the grandeur of the hallway and impressive staircase, the massive stone fireplace and a baby grand piano. 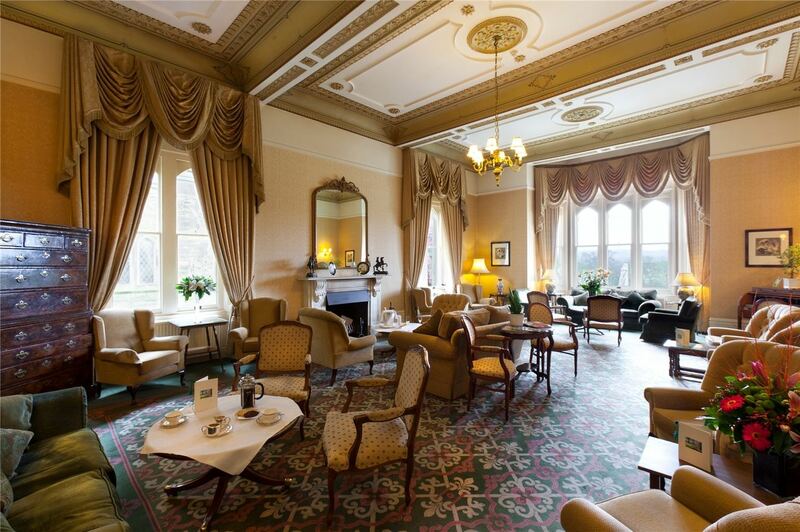 You walk through ancient stone archways into stately drawing rooms, see lots of polished mahogany and ornate trimmings and plush furnishings in subdued colours. Some may call it dated. I call it a charmingly quintessential English environment. If this sprawling Gothic property replete with stained glass windows in every nook and cranny, reminds you of a chapel, that’s because it was once home to Sister Marie Saints Anges of the Order of the Notre Dame who bought it and used it as a convent. They stayed for 50 years until the church was deconsecrated. Barclays used it as a management training school before it was purchased in 1993 by Elite hotels. Ideal for any celebration, whether it’s a celebration of love, anniversary, with the family or just because. There are 105 spacious rooms, some are period rooms with traditional subdued calming creamy or rose hues as their theme, sometimes with oak panneled walls. TV’s and Nespresso machines are part of the mod cons and bathrooms are elegant with Molton Brown toiletries and baths tubs worth bathing in. All have views over the grounds and parkland. If you stay in the Fairway suites adjacent to the Country Club the view will be over the golf course. The most opulent are the Master Suites which sometimes come with a four poster bed. Those who are lucky enough to stay in the Magnolia room will get a superb round, stained-glass window to look at while spending a penny. Note: Although there is no lift – there’s only two floors, Ashdown has a wheelchair accessible room on the ground floor. 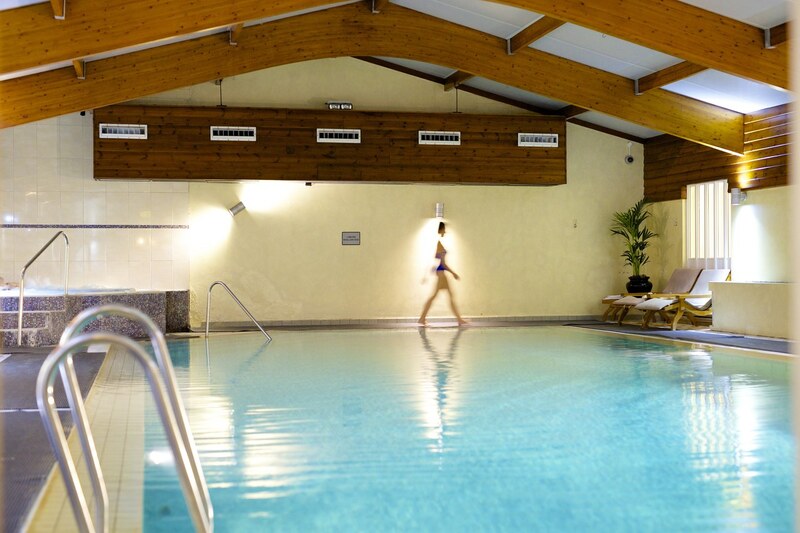 There is a modern spa in the nearby Country House building which has a spa with Kerstin Florian treatments, a sizeable indoor pool with Jacuzzi. Bring a racket if you want to use the tennis courts or your golf clubs to used the landscaped 18-hole 3 par golf course that takes your through the forest. There’s plenty of opportunity to go walking or cycling and in-keeping with a stately home, you can play croquet on a specially designed lawn. 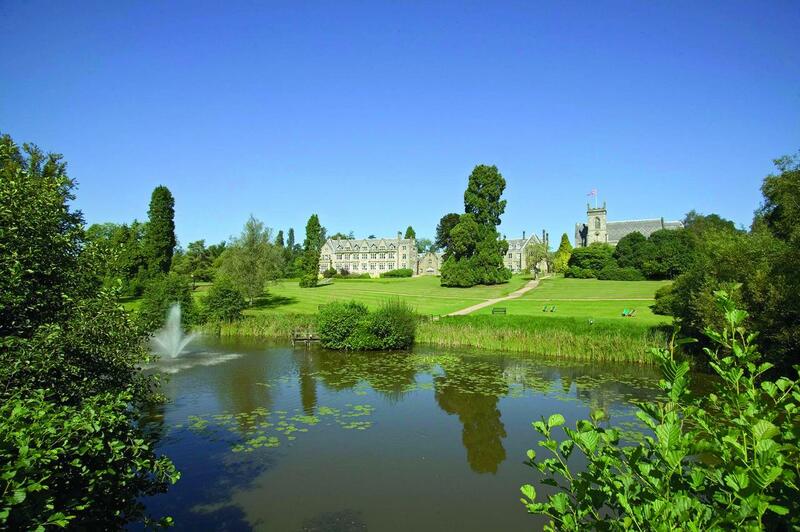 Incidentally, it’s worth mentioning that Ashdown Park Hotel is good choice to hold a wedding party. 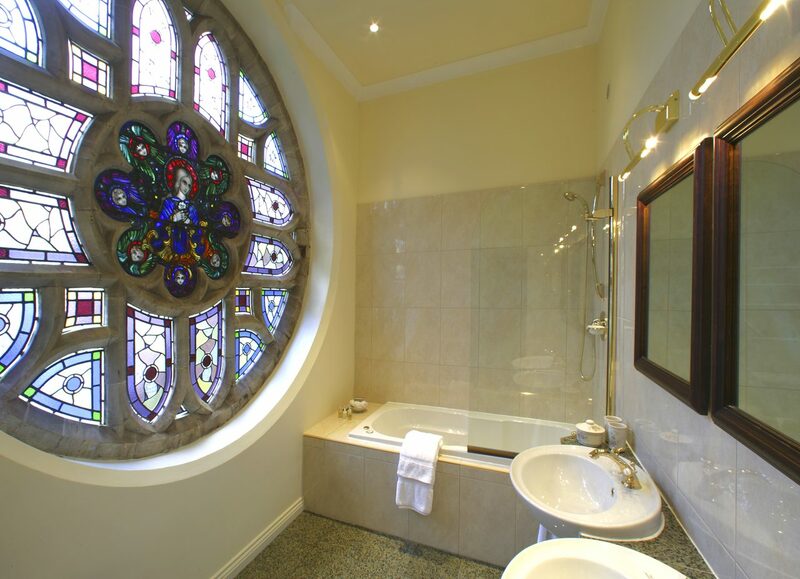 The Richard Towneley Suite is a soaring converted chapel with vaulted ceilings, gorgeous stained-glass windows that let in a pleasing glow. There’s even an original organ and wedding bells to set the scene. Some come here just for the afternoon tea which is served on the lawns or in one of the two drawings rooms. A casual menu is also available all day in these rooms as it is in the bar. The stately Anderida Restaurant is an elegant fine-dining 2 AA-rosette restaurant. It has a dress-for-dinner vibe complete with an automated tinkling grand piano. Expect an amuse-bouche and palate cleanser in between courses. Attentive service is unhurried and relaxed so bear that in mind if you are in a hurry. The menu includes traditional dishes such as roasted pork and beef Wellington. I started with a leek and potato soup which came with savoury popcorn. It sounded dubious but actually tasted great. Then came the corn-fed chicken supreme and followed with a banana cake. Breakfast is also served in the Anderida with continental buffet, a selection of cooked-to-order dishes and a traditional full English. Ashdown Forest lies between the historic towns of East Grinstead, Uckfield and Crowborough. 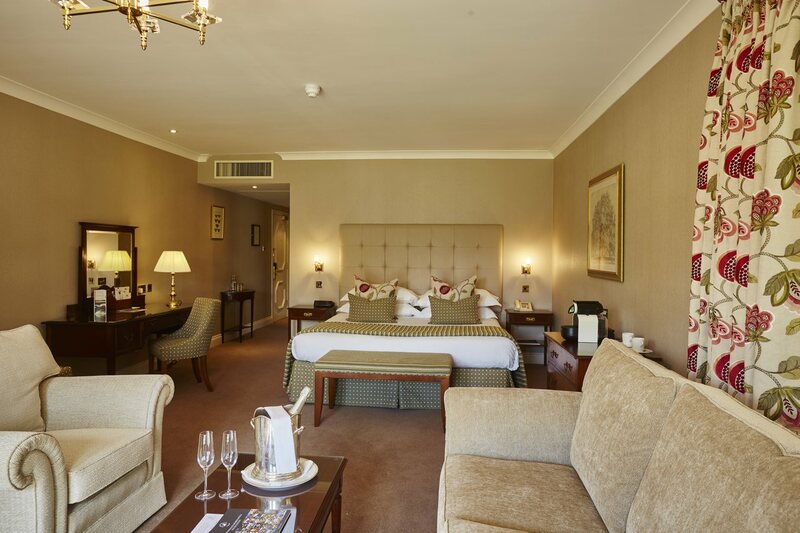 This means it is close to Glyndebourne, perfect for music lovers. A seven-minute walk from the Ashdown Forest Centre abundant with walking and cycling routes, and 10 minutes by car from Pooh Sticks Bridge in Hartfield.